At Clark Drainage, we deal with blocked drains and clogged sinks on an hourly basis- drain unblocking is by far our most popular service. 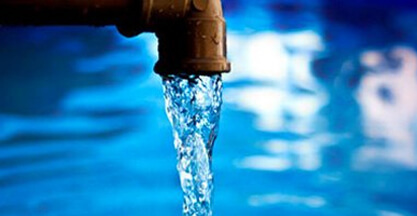 That’s because blocked drains are the most common drainage issue experienced by both domestic and residential customers, and they can quickly cause some big problems with your pipes. While our jetting systems make drain unblocking quick and easy, we’re sure that you’d rather avoid the issue in the first place. With that in mind, we’ve put together the following list of five major causes of blocked drains. If you avoid these wherever possible, and combine that with our regular Drain Maintenance Service, you can make blocked drains a thing of the past! Unfortunately, the first cause of blocked drains and clogged sinks on our list is largely out of your control. Every autumn, as trees shed their leaves ready for the winter, a huge proportion of those leaves make their way into drains. A single leaf might not pose much of a problem, but if you live in an area with a lot of trees around, then you’ll know how quickly they can lead to completely blocked drains. As the debris builds up and up, it can easily lead to a clogged sink or a toilet that won’t flush properly. That being said, it’s a good idea to rake up as many leaves as you can from your property, to stop them from finding their way through a grate and causing blocked drains. By keeping a close eye on those grates, you should be able to avoid the worst of it, and stop leaves from causing any major disruption and blocked drains. Otherwise, you may find that the issue is too big for you to tackle on your own, and in that case, it’s time to call in the experts for a professional drain unblocking service. We all know that we shouldn’t flush things like sanitary towels or kitchen roll down the toilet, but many of us still do it. After all, what’s the harm if you only flush these items occasionally? Well, while you might not think much of it, this debris can very easily become lodged in your drainage pipes, especially if there’s already a minor blockage somewhere along the line. Sanitary towels also have a layer of glue on one side, and as we’ll see later on, any sticky or oily substances can eventually lead to some serious problems within your drains. Just one sanitary towel or a few sheets of kitchen roll scrunched together are enough to cause a clog that’s serious enough to require professional drain unblocking. To reduce the temptation to flush and end up with a clogged sink, make sure you have a bin in your bathroom, so you can instead dispose of these items properly. Back in February, the Museum of London put on display an object that most of us would rather not think about- an enormous chunk of fat, oil, and other debris pulled out of the sewers below Whitechapel. Weighing some 130 tonnes in total, only a relatively small piece of the so-called “fatberg”, but it’s still enough to turn anyone’s stomach. The actual drain unblocking involved technicians chipping away at the fatberg with pickaxes- a task most of probably don’t envy. This is the reality lurking in sewers across the world, and it’s largely caused by people pouring their kitchen waste down the sink instead of putting it in the bin where it belongs. 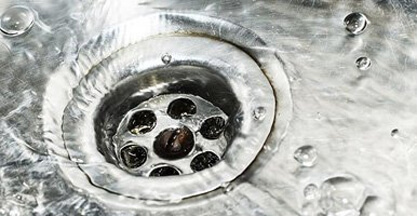 While it’s unlikely that you’ll have such a mind-boggling beast lurking in your drains, the same thing can easily happen on a smaller scale and cause clogged sinks or blocked drains. As it cools, that liquid fat and oil will solidify, and stick in your drainage system like superglue- quickly leading to a clogged sink. If you don’t want your own “Son of Fatberg” to battle with, and to really cut down on the need for drain unblocking, then make sure you don’t make this common mistake in your kitchen. The average human head is home to some 100,000 hairs, and we shed about 100 every day as new ones grow in their place. Most of those end up going down the plughole when you take a shower, where- you’ve guessed it- they can lead to blocked drains. While the problem might not be visible on the surface, chances are you’ve got a huge hairball lurking in your drain right now. If you don’t believe us, take a wire coat hanger and dip it down there- what comes up should be enough to convince you that it’s time to change your habits. As with all of the above items, hairs quickly build up in your pipes until they cause a serious blockage, especially when combined with sticky substances like soap residue. If you ever wash or dye your hair in the bathroom sink, then this can even lead to a clogged sink as well- making the need for drain unblocking even more likely. To keep this from happening, you might want to buy a rubber drain protector to put over the plughole when you’re in the shower. The water will still drain away just fine, but any hair and other debris will be stopped in its tracks. You can also get these for your bathroom and kitchen sinks too- a smart idea since they prevent any extra debris from causing a clogged sink. Alternatively, if you don’t mind getting down and dirty with the problem, then you can try your hand at drain unblocking by yourself with the coat hanger tip we mentioned earlier. However, it’s likely that a lot of the hair will settle out of reach of anything but drainage rods- so it’s best to let the experts tackle your drain unblocking to get it all out. We know what you’re thinking- how can soap lead to a blocked drain or clogged sink? Isn’t it meant to be clean? What you might not know is that most bars of soap are made with grease or fat. As we saw earlier, this is the last thing you want to be pouring down your drain, since it’s one of the most common causes of blocked pipes. When the soap residue comes into contact with water, it will bond with minerals to create a hard, sticky residue known as soap scum. Anyone in the cleaning industry knows how hard it is to shift soap scum, so if the issue gets too out of hand, you’ll almost certainly need a professional drain unblocking service to help. In fact, soap scum is the leading cause of clogged sinks and is the reason behind many of our drain blockage call outs. Remember, while solid soaps might smell nice, they won’t leave your pipes quite so clean- so you might want to stick with shower gel and liquid from now on. 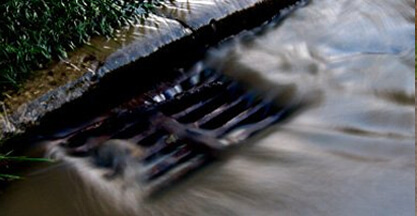 Now that you know more about the main causes of blocked drains, you should be well equipped to prevent these issues from reoccurring, and keep your drainage system that much cleaner. However, no matter how hard you try to stop them, you might still find that you need to use a professional drain unblocking service. That’s because blocked drains are always a risk- unless you bring in the professionals to help. If something is clogging up your pipes, then our blocked drain service will have things flowing properly in no time at all. For the long-term, our Drainage Maintenance Service is the perfect way to keep your drains crystal clear and make clogged sinks a thing of the past. 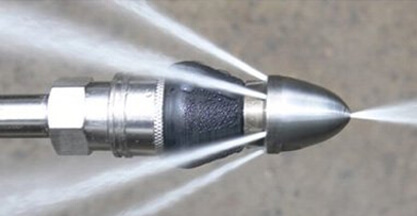 We use high-powered water jets to completely eradicate any dirt and grime that might be lurking in your pipes, and dramatically reduce the risk of anything going wrong with your drainage system. It takes drain unblocking to the next level since every last speck of dirt and grime is wiped away. What’s more, regular maintenance also allows our expert technicians to quickly spot any potential problems and nip them in the bud before they become more serious- so you can avoid clogged sinks and flooding pipes wherever possible. 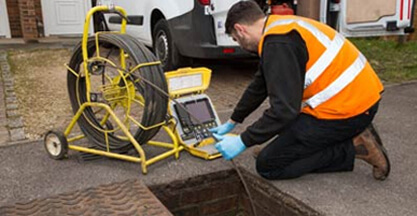 It’s highly unlikely that a problem will ever reach the point where you require drain unblocking, since regular maintenance keeps all the above common causes at bay. 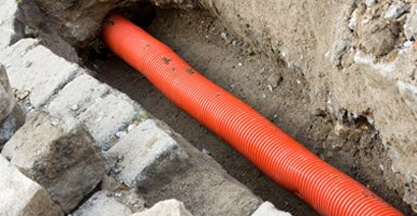 If you want to ensure that your drainage system is always in top condition, then the choice is clear. Team up with Clark Drainage today, and we’ll take care of all your drain unblocking and maintenance needs!